Lawyers SBL Paris: Philippe A. Schmidt, Delphine Brunet-Stoclet, Bénédicte Litzler. Join us at the INTA Annual Meeting in Boston from May 18th to 22nd! 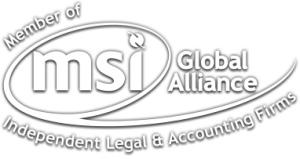 MSI Global Alliance, a worldwide network represented in 84 countries with 200 independent law firms, accountants, and tax advisers. Réseau Entreprendre Paris gathers 250 CEOs who help and coach entrepreneurs during their company creation or purchase.